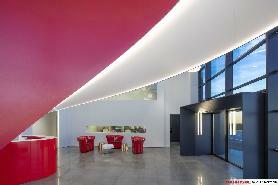 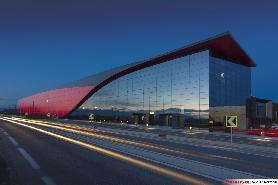 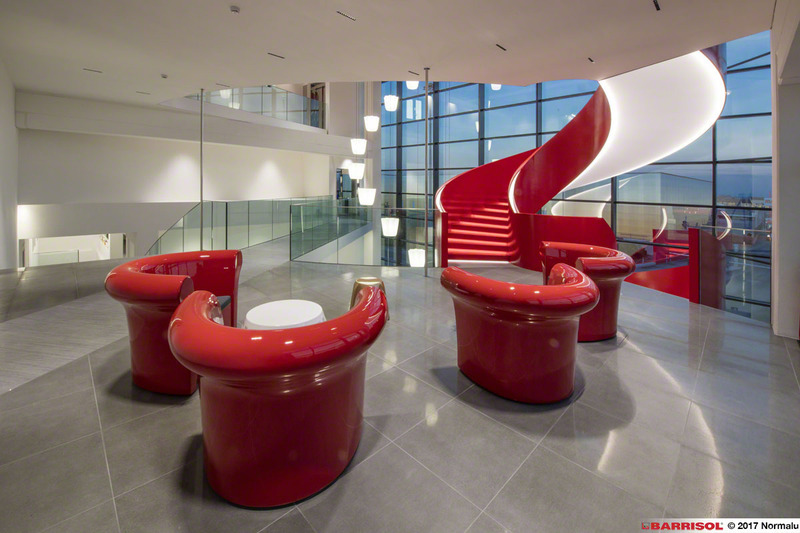 To celebrate the 50th anniversary of Maina, the architect Gianni Arnaudo has renovated the factory. 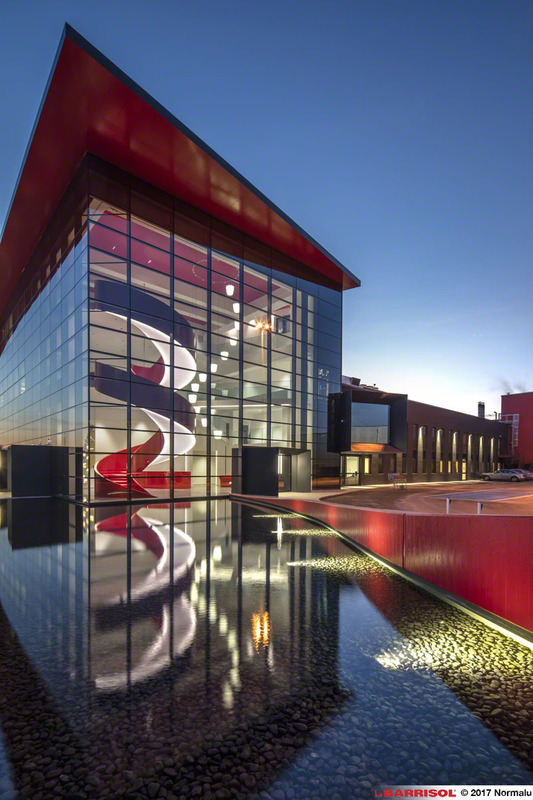 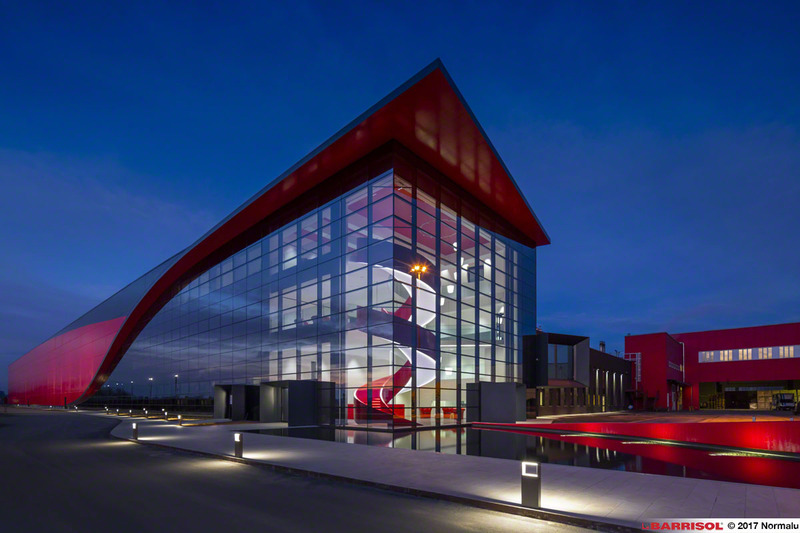 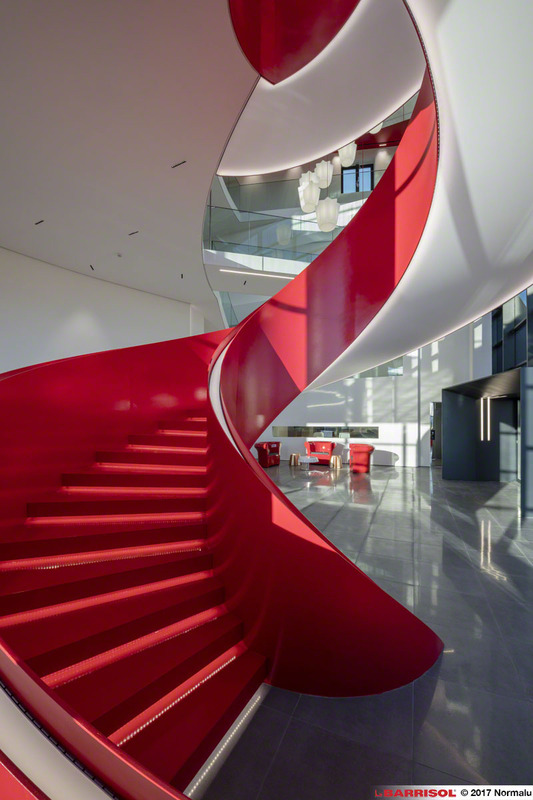 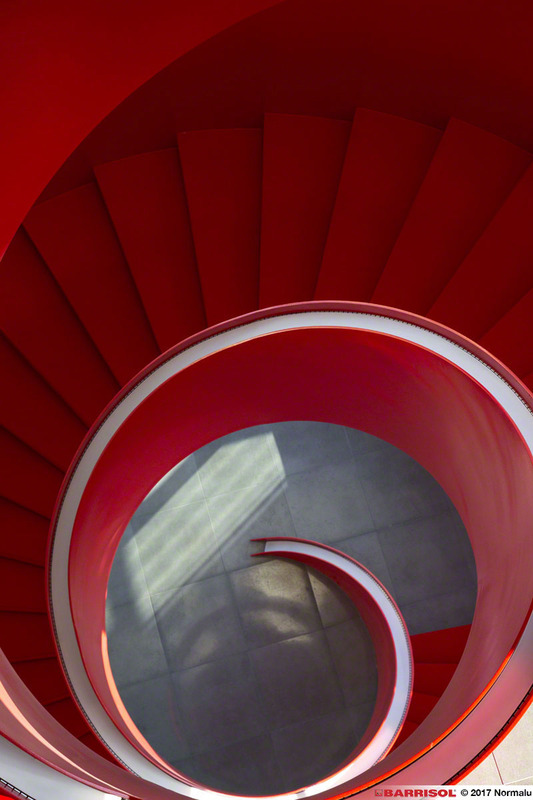 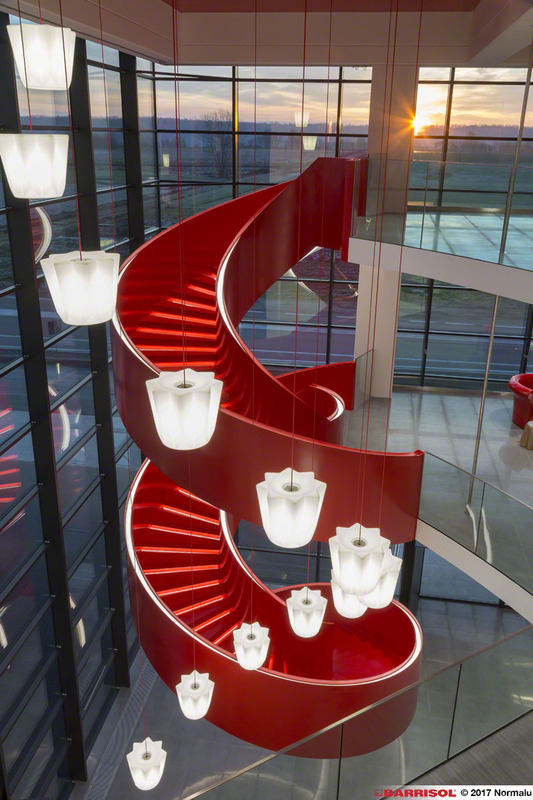 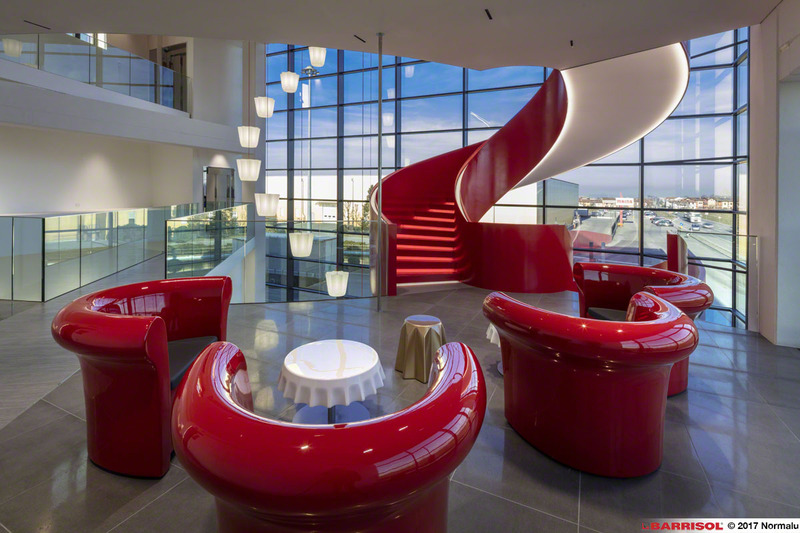 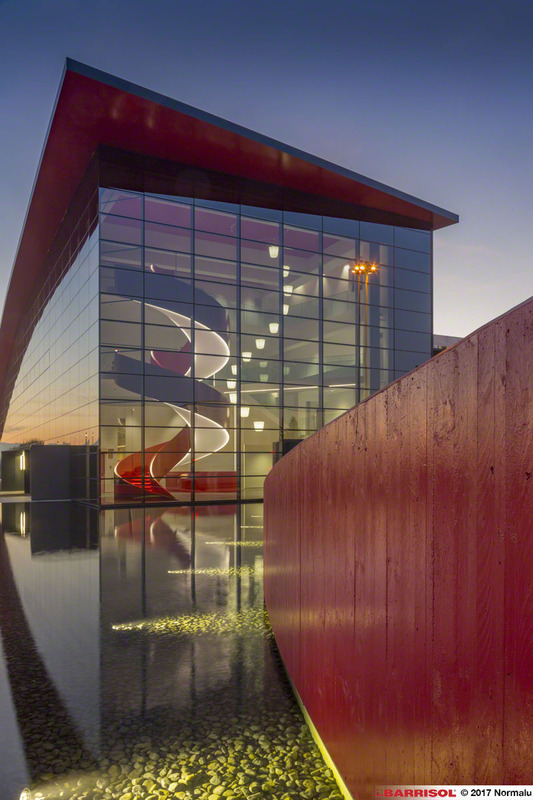 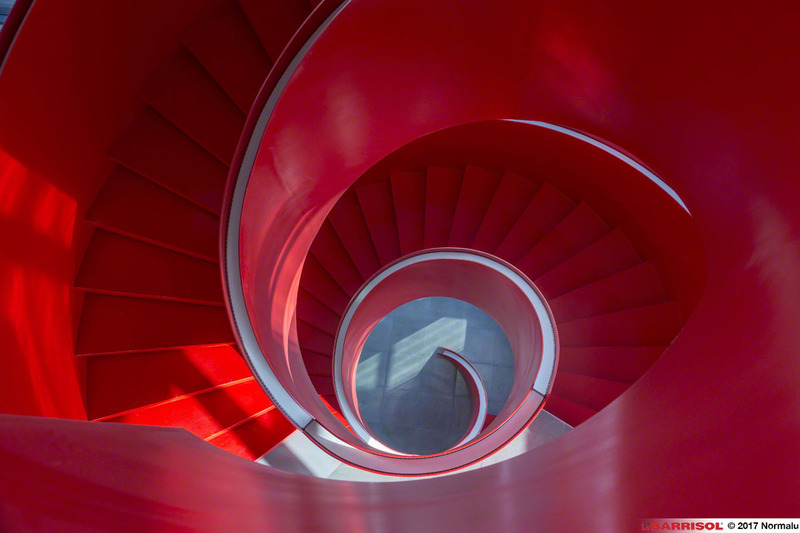 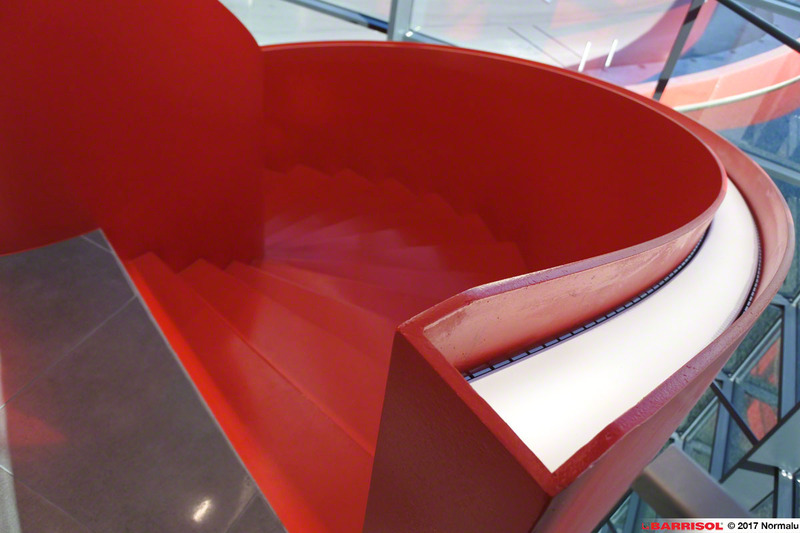 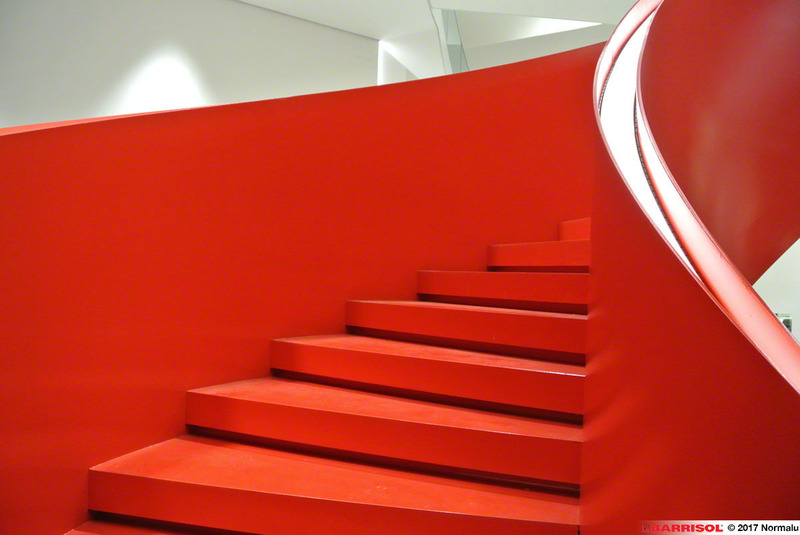 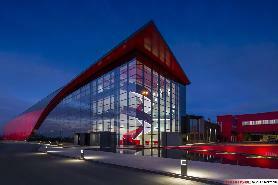 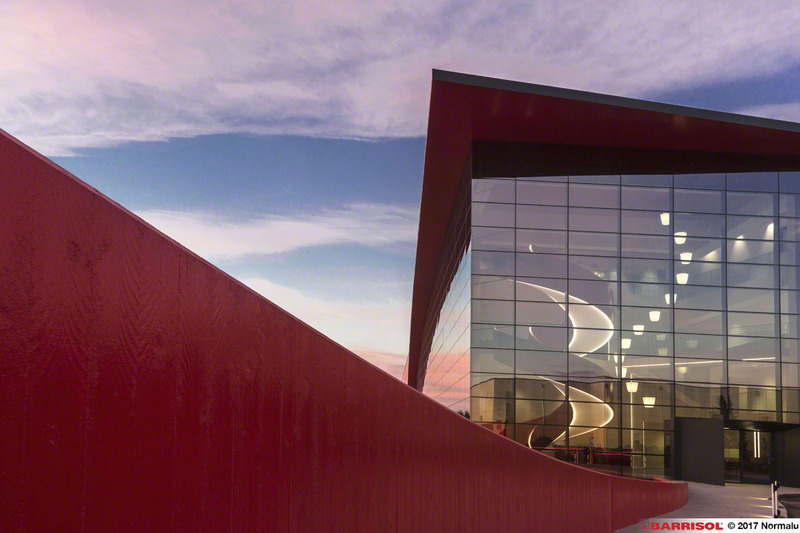 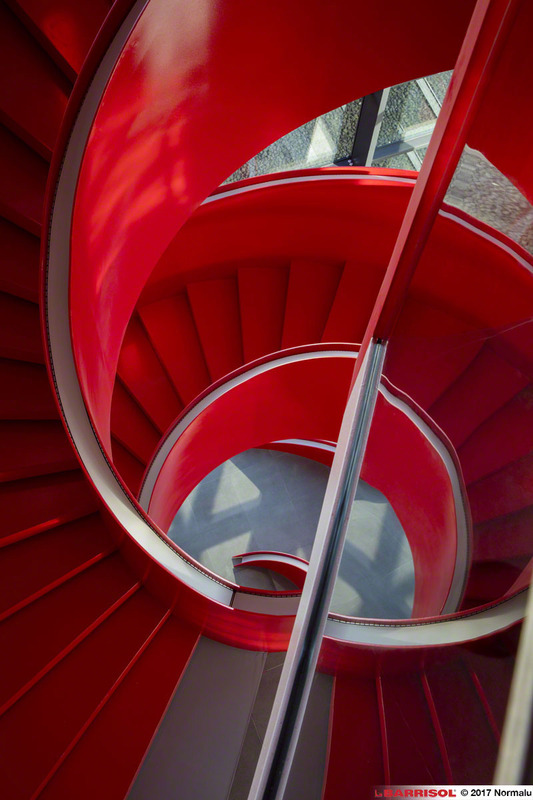 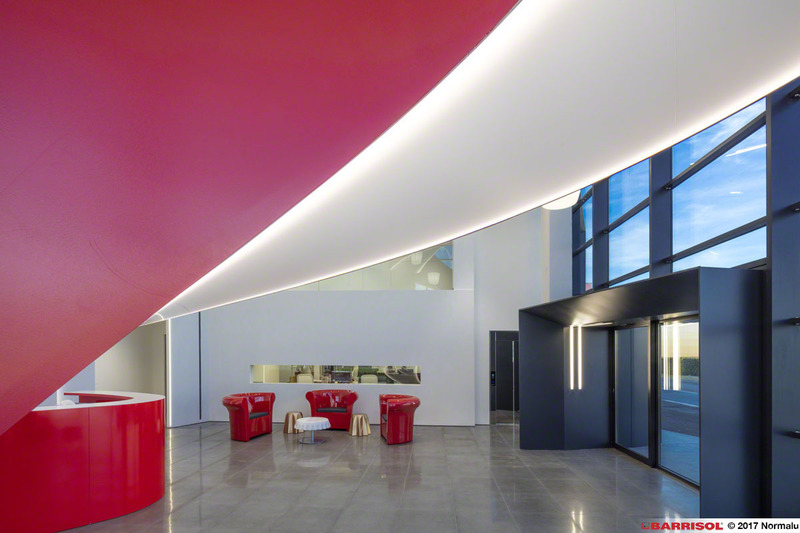 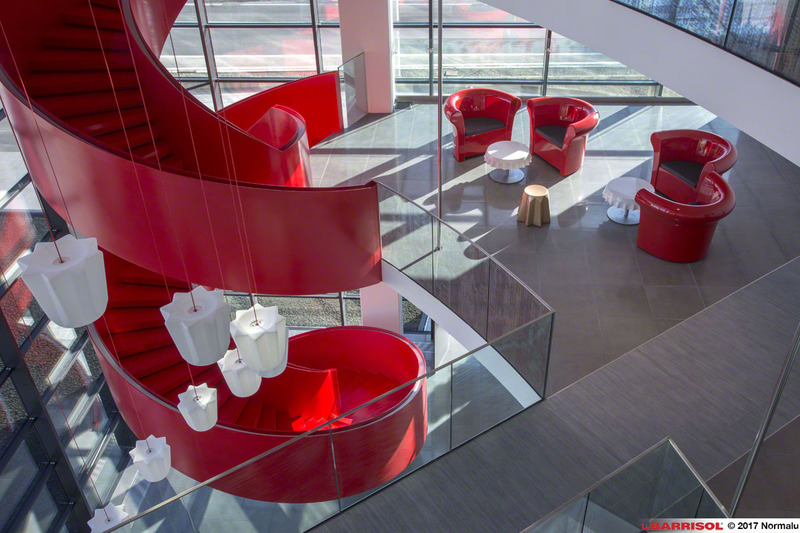 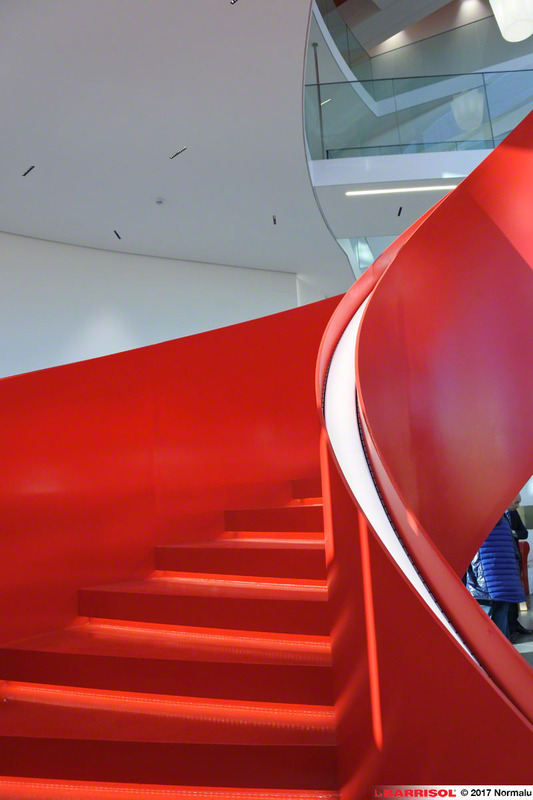 The dominent element is a bold red ribbon that enters the building from the outside and continues inside into a sculptural staircase. 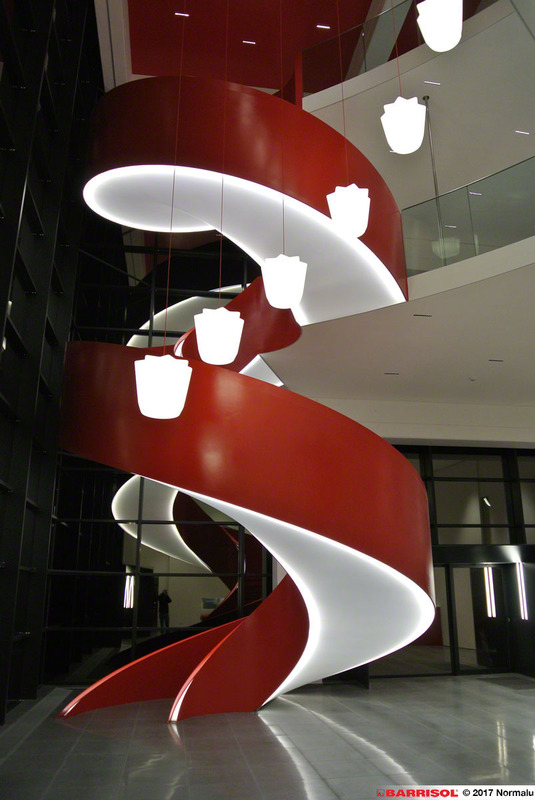 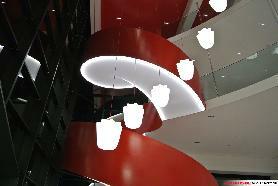 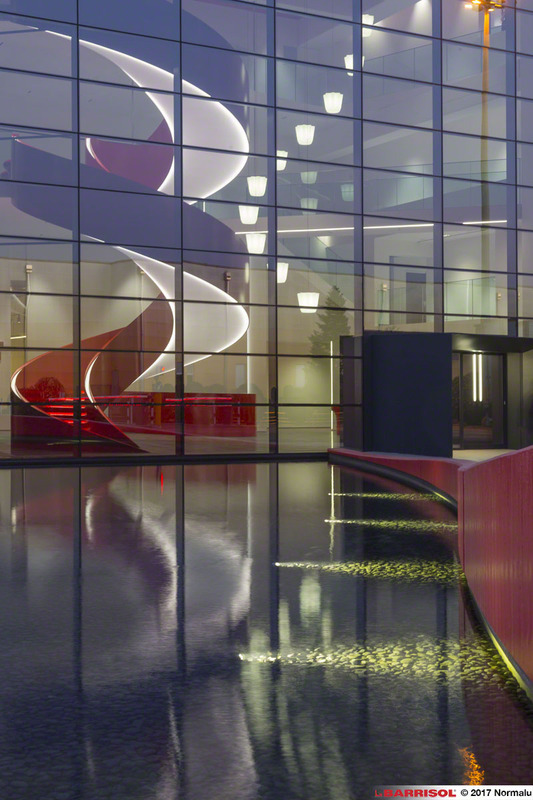 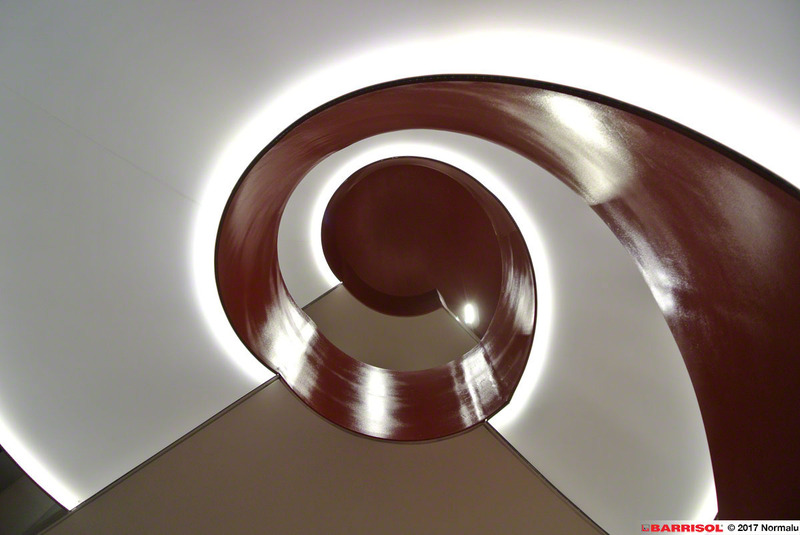 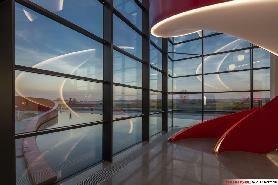 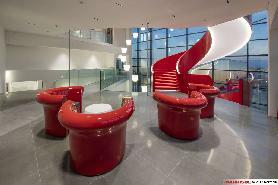 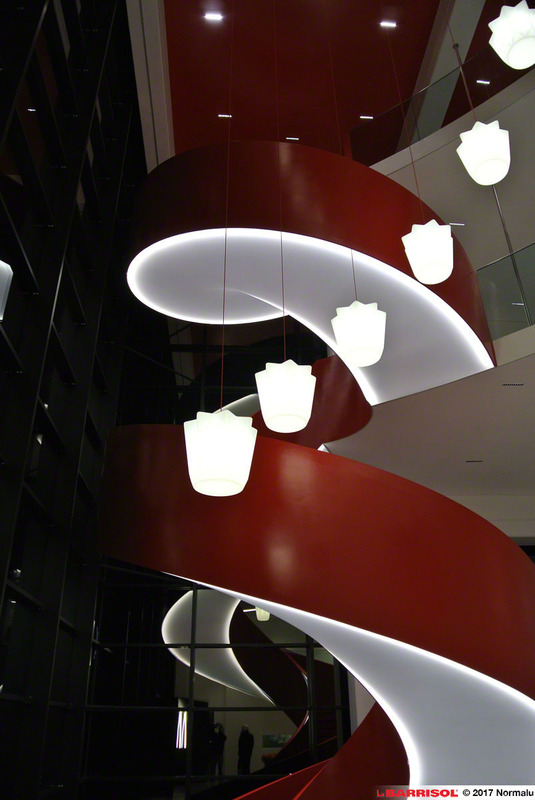 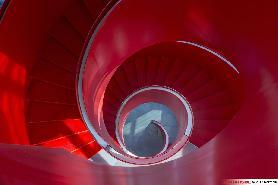 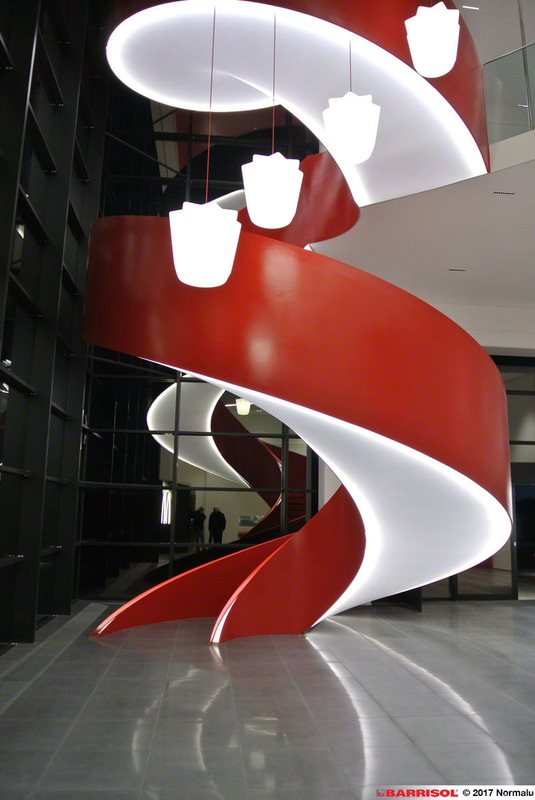 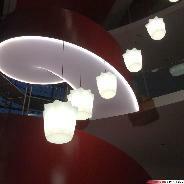 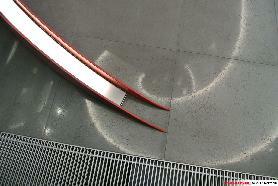 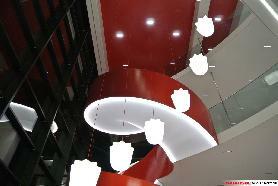 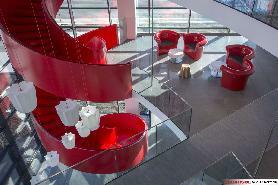 Barrisol® participated in the creation of this staircase and is a membraneof the range Translucides® which is backlit.